I'm just going to be straight with you. I fell asleep about 30 minutes into this movie, and only now woke up. That's not any reflection on the movie, which I was actually enjoying a lot. It's just that a month of late nights has caught up with me. 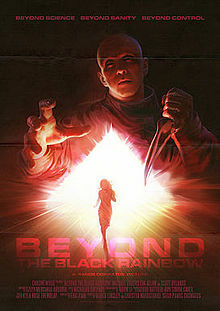 From what I saw, this seemed to be much more of a sci-fi thriller than a horror movie. It had a very 70s-throwback look to it, kind of like Logan's Run. Again, I fell asleep pretty early on, but it was about a cruel scientist and the girl with strange powers who he keeps captive. I enjoyed what I saw, and I'm planning to come back and watch this one again when I'm a little more rested. In the meantime, I'm going to give it an unknown score, a great big ? out of five.